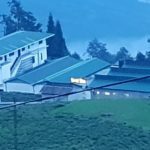 A resort tucked away in the hills along with activities like tea-plucking and paragliding forms the focus of Eeo Adventure Resorts and the Burra Bungalow Sikkim project launched to boost tea tourism in Sikkim. Sikkim government— Mrinalini Shrrtastava, managing director, Temi Tea and Rahul Banerjee, consultant and advisor. The Temi story dates back to late 1960s when the King of Sikkim gave refuge to displaced neighbours along the Silk Route and helped them setup a tea estate over an expanse of 376 hectares of land creating some of die brews finest flavours. The tea garden lies between Damthang and Temi Bazaar towards Singtam with the Burra Bungalow’ being the centre of attraction of the Temi Tourism Project. five rooms and additional cottages for accommodation. While at Temi, not only would one get the opportunity to relax and unwind in the timeless bungalow and its surroundings, but also soak in the beauty of the garden and enjoy pIucking tea leaves to brew tea. Namchi is a major destination for tourists where the hot water thermal springs and cherry trees that blossom in November have motivated Temi authorities to organise the cherry blossom festival or autumn festival beginning from this year. Driving through these trees that are in full bloom is like moving through a pink mist beyond, which one can glimpse the gleaming snow-capped peak of Khangchendzonga. as entertainment in the form of a planned casino for the tourists. Temi Tea Garden has teamed up with Priya Entertainments that owns Eco-Adventure Resort brand, to convert the former’s historic Burra Bungalow into a modern eco resort. The tea produced by the Temi Tea estate are packaged (0.250 kilograms (0.55 lb) packages under many brand names. The brand name “Temi Tea” is of the best quality consisting of pure tea ‘golden flowery orange pekoe (TGOFP1)’. The next in quality is the popular brand of ‘Sikkim Solja’ followed by ‘Mystique’ and ‘Kanchanjunga Tea’. It is also sold in the form of ‘Orthodox dust tea’. The Tea Garden Employees Consumers’ Co-operative Society Ltd markets these products at a kiosk in the vicinity of the Temi Tea factory. Nearly 75 per cent of the tea produced in this estate is auctioned in Kolkata and the balance 25 per cent is marketed as packaged tea in the domestic market. “Quite significantly, the first two tea bushes were planted by the king of the erstwhile princely state himself. They still stand in front of the heritage bungalow. We call them King and Queen. That way there is an interesting history attached to it, which in turn will draw tourists,” said Shrivastava. “The bungalow, boasting a view of Mt Kanchenjungha, stands on mortars of mud and cut rocks, and therefore was easily affected by the earthquake. We will restore the building by retaining the same structure and design but by flushing out the mud and replacing it with reinforced concrete. It is a time-consuming process but we hope to finish work in 12-14 months. Work has started from March. While there are four rooms in the bungalow, five cottages and three tents will be erected on the premises. We will allow a maximum footfall of 24 at a time, so that it remains a niche and an exclusive property,” added Dutta. Priya Entertainments Private Limited [PEPL] with support from Sikkim Government has announced plans to helm the Temi Tourism Project. 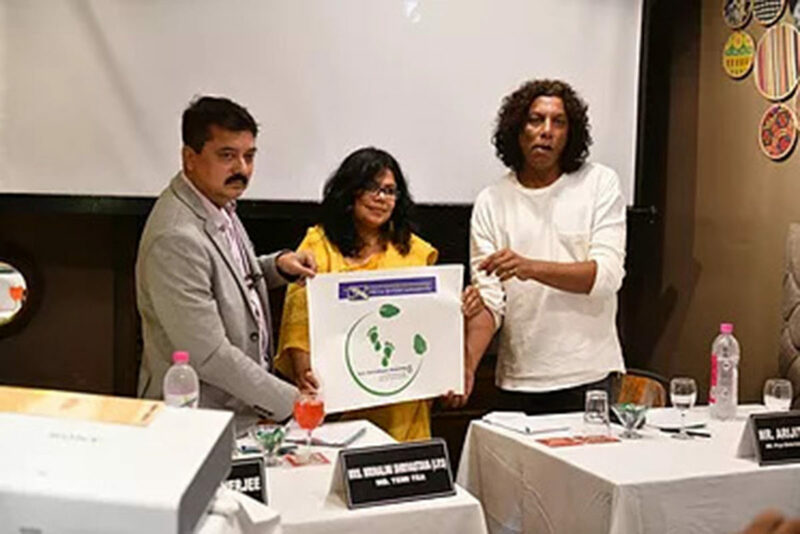 It is the first ever public-private partnership initiative in Sikkim with a non-Sikkimese partner in the sector, informs Temi Tea Estate Managing Director, Mrinalini Shrivastava. As per the agreement, PEPL has become the exclusive tea tourism player in Sikkim. The project was announced by PEPL managing director, Arjit Dutta, Temi Tea Estate MD, Mrinalini Shrivastava and consultant, Rahul Banerjee today. The Temi logo was also unveiled on the occasion. Temi Tea Estate is located in South Sikkim and lies between Damthang and Temi Bazaar. It spreads over an area of 376 hectares. The Bada Bungalow is the epicenter of the Temi Tourism Project. The bungalow shall continue to be called as the Bada Bunglow [Temi] and shall be furnished with erstwhile era’s heritage fittings to serve 4-5 rooms and additional cottages for accommodation. “While at Temi not only would you get an opportunity to relax and unwind in the timeless bungalow and its surroundings but also soak in the beauty of the garden and enjoy plucking tea leaves and make your own tea,” said Ms Shrivastava. Some of the major attractions are paragliding facility in Temi, the hot water thermal springs and the cherry trees which blossoms in November which has galvanized Temi authorities to organize Cherry Blossom festival or Autumn Festival. The Temi project will also bring on the table PEPL’s knowledge and experience gained from the path breaking and hugely successful Eco Adventure Resort at Khairabera, Purulia in West Bengal and present a cocktail of heady and adventurous hill eco adventure tourist attraction as well as entertainment in the form of a planned casino for the tourists. “The project shall open a complete new vista for hill and tea tourism and hopefully set trends and change the dynamics of the tourism industry of the East and Northeast India,” said the tea estate MD. 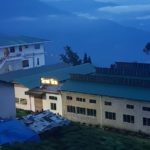 The government of Sikkim, a 7,096sqkm state nestled in the Himalayas in northeastern India, is developing backpacker-friendly homestays around an upcoming adventure eco-resort in the midst of the Temi tea garden. 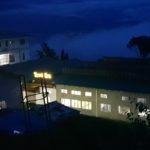 In what is being touted as then first public-private partnership with a non-Sikkimese partner in this sector, West Bengal-based Priya Entertainments has signed an agreement with the Sikkim government, which owns the Temi tea estate, for the resort project. The King of Sikkim had established the Temi Tea Estate over 376 hectares with elevation between 4,800 and 6,400 feet to provide employment to Tibetan refugees. Among India’s smallest states, the land-locked Sikkim has Tibet in its north and east, Bhutan in its east, Nepal in its west and the Indian state of West Bengal in its south. The focus of the luxury eco project will be a building called Burra Bungalow, which was damaged in the 2011 earthquake. It’s renovation has begun and it will be furnished with heritage fittings. The promoters are looking to open it around mid-2019. 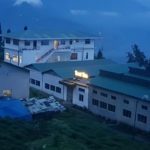 With unhindered views of the majestic Mt Kanchenjunga, the world’s third-highest peak at 8,586 metres, Priya intends to market the resort as an exclusive getaway for luxury tourists. “Definitely not more than 24 people at a time,” said Priya Entertainments MD Arijit Dutta. The resort would initially begin with tea tourism. Dutta says they would give guests the opportunity to pluck two the leaves and a bud themselves, which can be packed and branded as ‘Temi Tea plucked by me’ to take home as gifts. The promoters also plan to start a cherry blossom festival from this November, when the area is awash with pink hues of the flowers. Dutta said he also plans to have a casino at the facility with gaming being legal in Sikkim. “Paragliding facilities are already available in the area. Ziplines will be in place by June. We’ll also have mountain biking. We’re looking at the safety aspects of quad bikes,” said said Mrinalini Srivastava, the MD of Temi Tea, talking about the adventure aspect of the resort. Srivastava, an Indian Police Service officer, was in Kolkata on Friday to make the announcement about the resort. Responding to a question from TravelAndy, Srivastava said even though the resort would be a luxury getaway, budget tourists would also be able to experience the place with the government developing homestays around the resort. 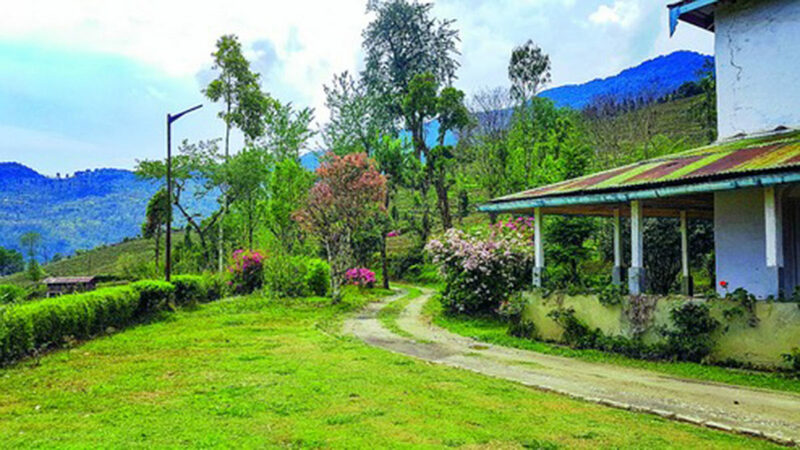 A bungalow inside a tea garden that was damaged in the 2011 earthquake would be the epicentre of a first-of-its-kind tourism initiative in Sikkim that would combine tea, adventure and gaming. 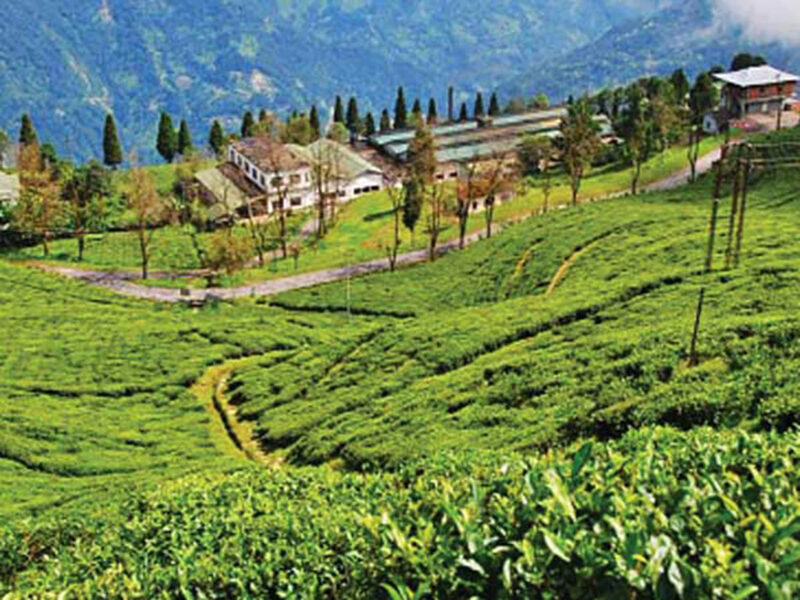 The management of the state government-owned Temi Tea Estate has entered into a public-private partnership with the city-based Priya Entertainments to promote a part of the garden as a tourist resort. The project, according to officials, is the first government deal with a non-Sikkimese partner in this sector in the state. The Temi Tea Garden in south Sikkim is spread across 176 hectares along a gentle gradient on altitudes rising from 4,800 to 6,400ft. 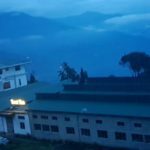 Set up in 1969 by the king of Sikkim to provide employment to Tibetan refugees, it is the only tea garden in the state and produces high-end organic tea. “The first two tea bushes were planted by the king himself. They still stand in front of the heritage bungalow, We call them King and Queen,” said Mrinalini Shrivastava, the managing director of the tea estate who belongs to the Indian Police Service. Shrivastava was in town on Friday to announce the partnership with Priya Entertainment. “We chose them because of their experience in developing Khairabera, an eco-adventure resort in Purulia,” she said. The bungalow, boasting a view of Mt Kanchenjungha, stands on mortars of mud and cut rocks, and therefore was easily affected by the earthquake. “We will restore the building by retaining the same structure and design but by flushing out the mud and replacing it with reinforced concrete. It is a time-consuming process but we hope to finish work in 12-14 months,” said Arijit Dutta, managing director of Priya Entertainment. Work has started from March. While there are four rooms in the bungalow, five cottages and three tents will be erected on the premises. 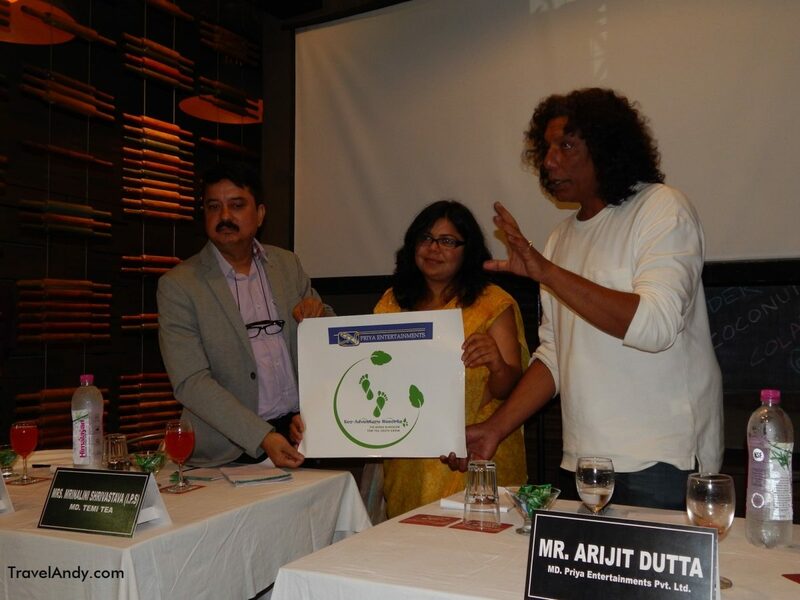 “We will allow a maximum footfall of 24 at a time,” Dutta said. A corner of the plantation will be part of the resort. “Tourists can pluck the two leaves and a bud themselves. Their collection will be packed in sachets and branded ‘Temi Tea plucked by me’ as gift items to take back,” he added. Gaming being legal in Sikkim, the resort has applied for casino licence. “It was part of our agreement with the state government,” Dutta said. A cherry blossom festival will be started from this November when the hills turn pink with blooms. A hot water spring 40 minutes away is another tourist attraction. “We are taking a community-based approach to tourism. Priya may also become the common channel for the local homestays,” added project advisor Rahul Banerjee. “The project should commence by April 2019 if the weather and other factors support us. It will be our golden jubilee year too,” said Shrivastava. The government wants the tourist focus to shift from Nathu La in the east for the sake of the eco system. Sikkim received six lakh tourists last year – “almost as much as its population”, she pointed out.